We’ll be honest with you. 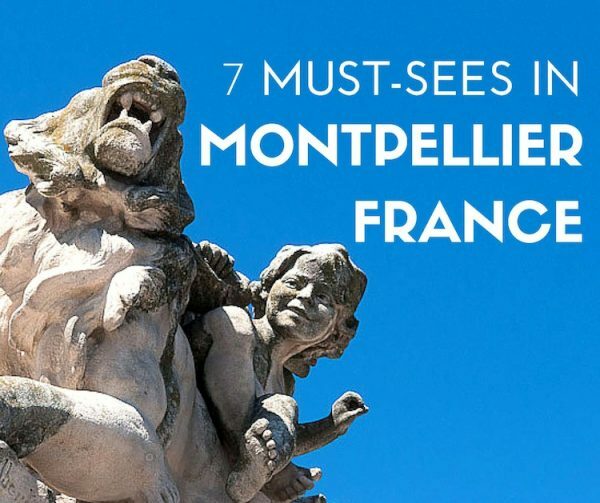 Montpellier was not among the top priorities on our list of cities to visit. It was just for convenience’s sake and budget reasons that we decided to fly back home from this southern-French city, when exploring the region around Girona, Figueres and Cadaques to visit the Dalinian triangle in the northern part of Spain. Montpellier is only a couple of hours from the Spanish border (if you don’t accidentally miss your train that is), so while we were there it made sense to have a look across the border, instead of returning to where we came from. And let me tell you… we were glad we did. As soon as we stepped out of Montpellier’s central train station we felt the city had a very different vibe compared to the towns and villages just a short ride across the border, in the neighbouring northern Spain. Somehow this city hasn’t yet attracted as much of attention as its better known southern-French neighbours Marseille and Nice, and perhaps that’s actually one of its charms. With one third of its population consisting of students the city is in fact better known as a student city than as a tourist destination. Yet, there’s plenty of attractions for its casual visitor as well. 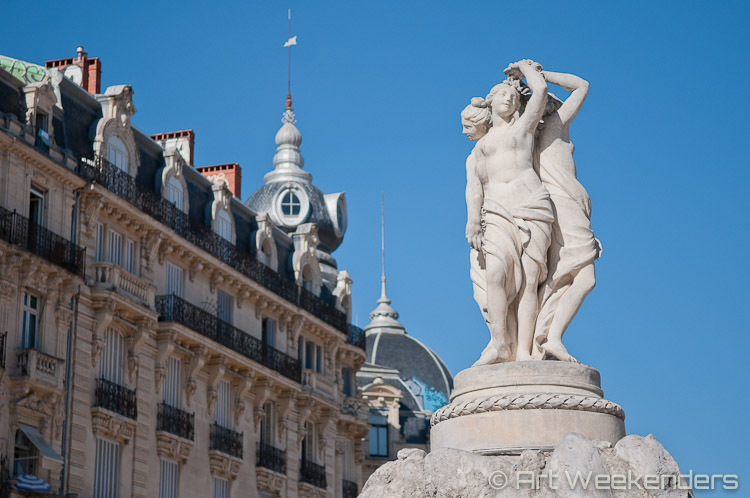 Let us guide you through town and show you what to do in Montpellier. The Antigone district in Montpellier, France. 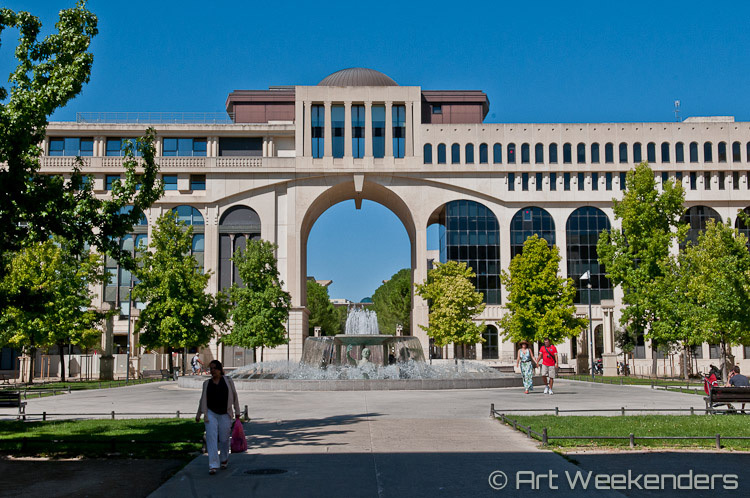 Montpellier’s Antigone district encompasses an area of 36 hectare full of grand neo-classical buildings, designed by the Spanish architect Ricardo Bofill. Because of the use of typical classical elements, like pilasters, entablatures and pediments, you might initially think the architecture is much older, but the construction of the district only finished a bit more than thirty years ago, namely in the Eighties of the last century. The district was designed to further develop the east side of the city and connect the historical centre with the river Lez, and as from its origins it is a ground for low-income housing, hotels and shops. 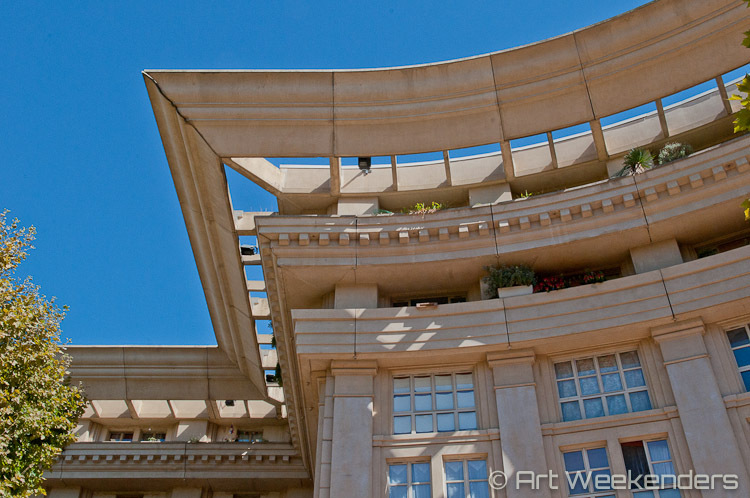 Architecture in Montpellier’s Antigone district. Given its lay-out – a central axis of one kilometre with stunning sand-coloured buildings around it – the nickname Champs-Élysées of Montpellier given to the district is not surprising. The whole district with its plazas, fountains, trees and huge buildings has something majestic, something grandiose you just don’t see everywhere. 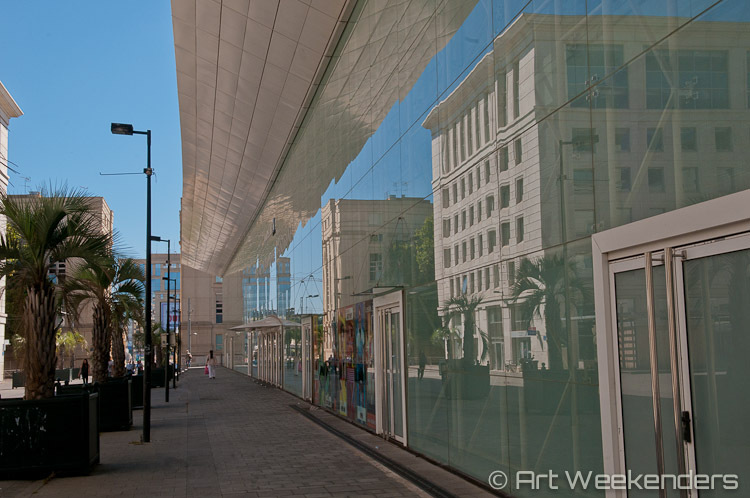 The district runs from the east of the city centre up to the river Lez and starts from the Polygone shopping mall, and makes a relaxed walk thanks to its spacious and green lay-out. 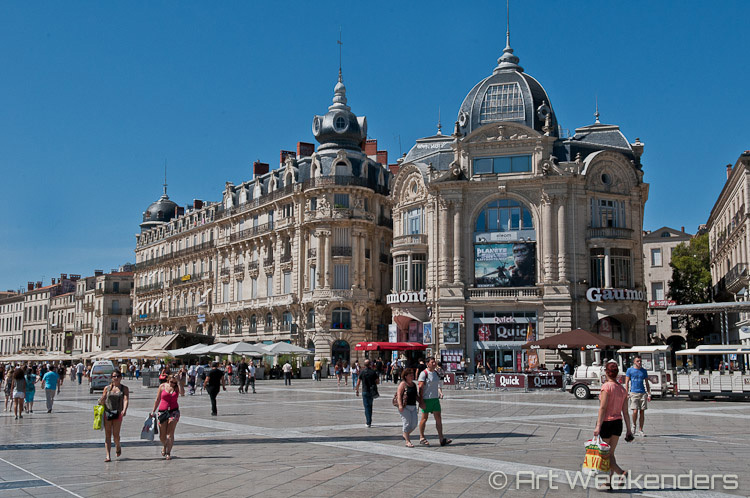 When you walk out of Montpellier’s train station and continue straight ahead, after some 200 meters you will quickly find yourself at the oval-shaped square, named Place de la Comédie. This square has been the central point of Montpellier since the 19th century, which is evidenced by the historical buildings around the square, among which the theatre Opera Comédie to which the square owes its name. In the middle of the square you’ll find a statue called the Three Graces, made by the sculptor Etienne d’Antoine back in the 18th century. 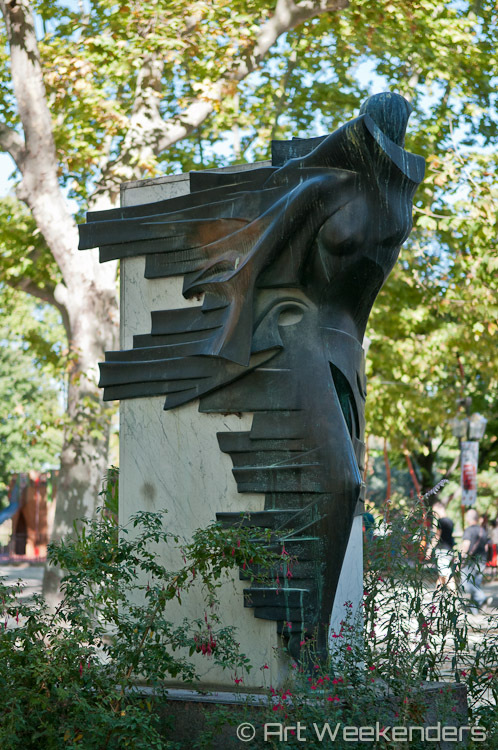 The square is one large pedestrian area, where on a regular day you will encounter plenty of entertainment, either by the street artists around or looking at the passersby from one of the terraces of the cafes and restaurants surrounding the square. Some see it even as the central place to entertain yourself, but we have even better suggestions as you will see below. Besides the entertainment at the square we also recommend you to look up once in a while and gaze at the beautiful details at the rooftops of the buildings. Be careful to watch your steps and the tram at the edge of the square though! 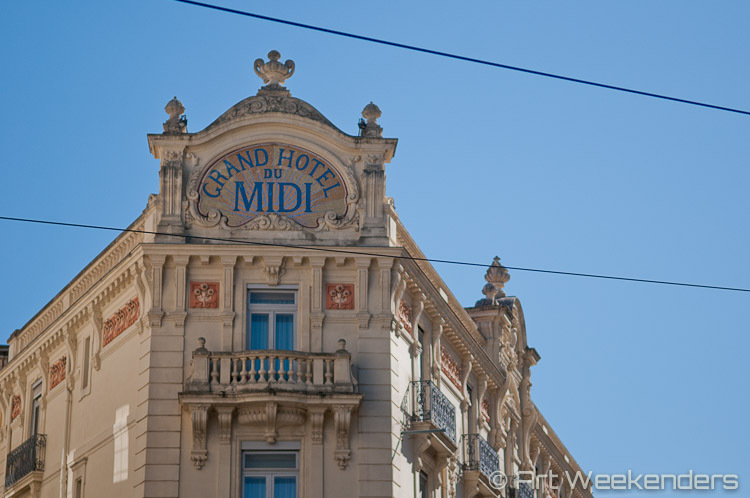 Immediately behind the Place de la Comédie is where the charming historical centre of Montpellier starts. It’s a perfect place to wander around for a bit, stroll along its little alleys, enjoy some shopping and a drink or a bite, and perhaps to get lost once or twice. Yes, we have seen the same alley a couple of times, not on purpose. It’s easy to get lost and actually – time permitting – we don’t mind, as it often brings us to beautiful or interesting places we otherwise wouldn’t have seen. As French generally eat somewhat later at night, you can easily take your time sight-seeing other parts of the city first before heading out here for dinner. 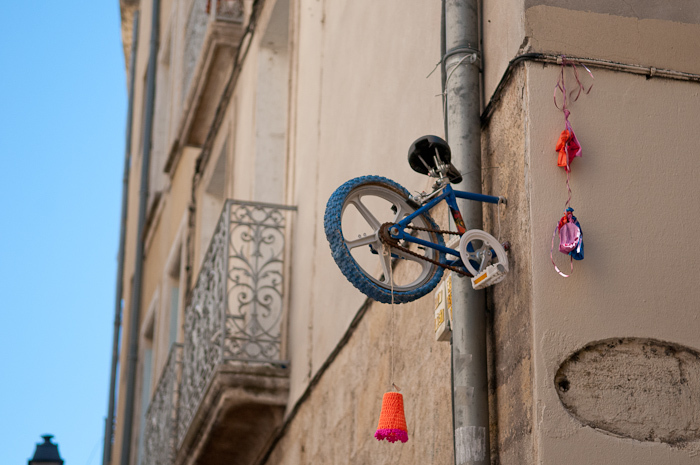 Especially in the historical part of Montpellier we found loads of street art brightening up its streets and alleys. Somehow the style and colours of the street art here totally fit in with the cityscape of this stylish city. If you’ve ever considered street art should be left out of the historical city centres (or maybe even nowhere at all), this is your chance to see how it can be done differently and in a more attractive way. It may not come as a surprise, that the street art you will find is mostly of local artists like MR BMX and Al Sticking. For more street art from Montpellier check our article Street Art Corner from Montpellier, France. 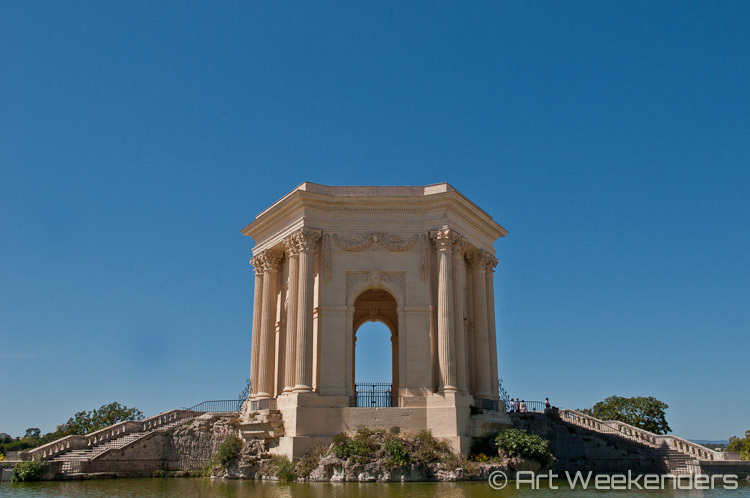 Walking away from the historical centre to the west you’ll arrive at Porte du Peyrou, Montpellier’s seemingly smaller version of the Parisian Arche de Triomphe. 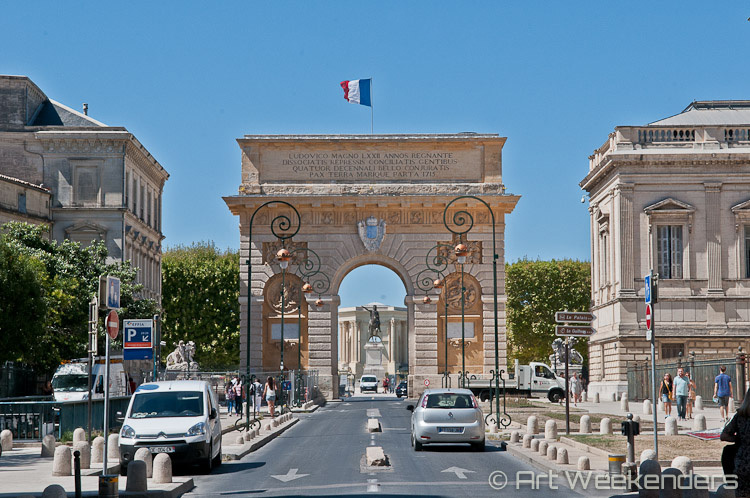 In fact, the arch was designed by François d’Orbay in the 17th century after the model of the Porte Saint-Denis, an arch in the 1oth arrondissement of Paris. Right behind the arch you’ll find the Place Royal du Peyrou, a three hectares large esplanade containing a large promenade and a water tower, which was historically used to distribute water from the river Lez, transported to it via the 14 kilometers long Roman aquaduct Les Arceaux, into town. 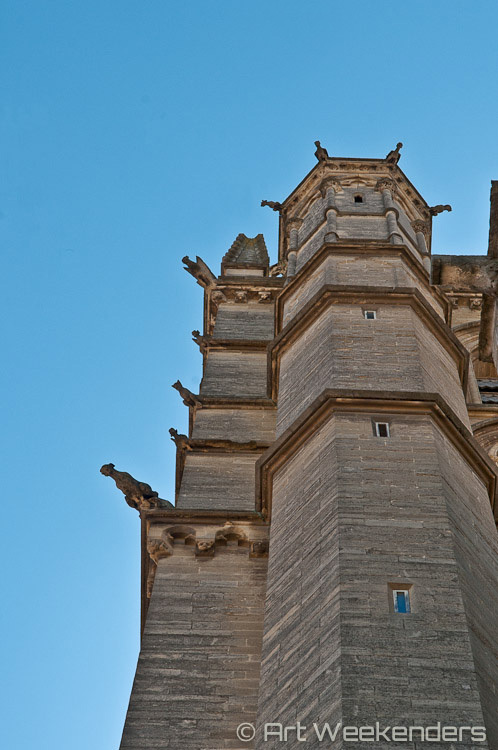 From the water tower you have an excellent panoramic view over Montpellier and its surroundings. 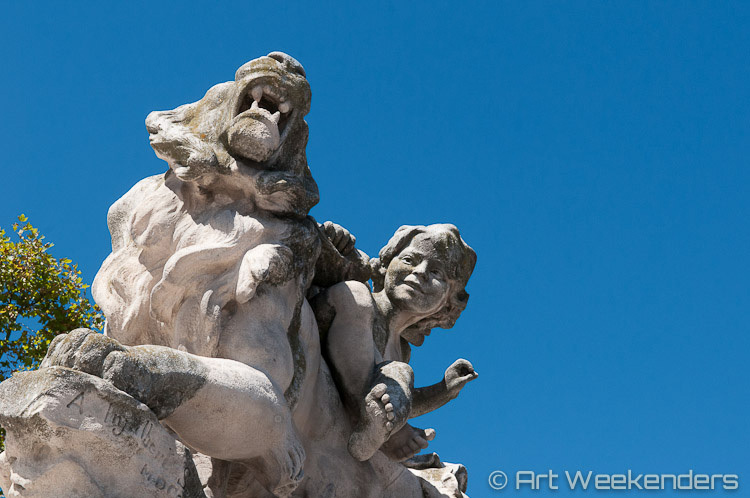 If there’s only one museum you can visit in Montpellier, make it the Musee Fabre. The museum was founded by the Montpellier painter François-Xavier Fabre in 1825 and throughout the decades expanded its collection by the donations of numerous art works by art collectors and the like. In this way works of not only French, but also Flemish, Dutch, Italian and other European painters and sculptors from the 17th to 20th century became part of the collection. For example names like Bernini, Rubens and Zurbaran are just some of the ones you’ll come across here – and, of course, their works. 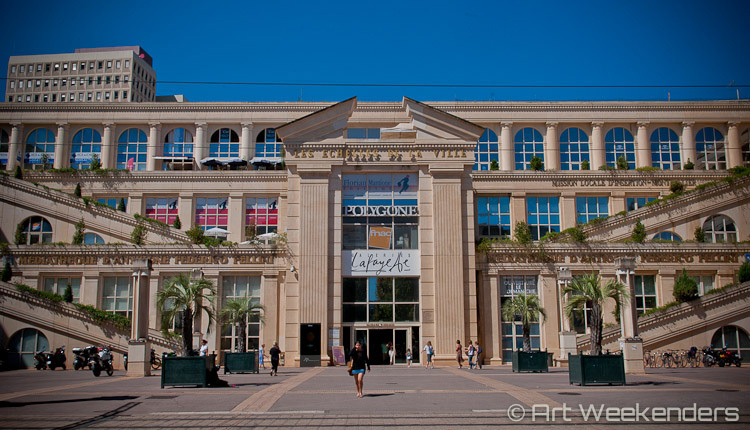 With an exhibition area of around 9,200 square metres it is one of the biggest museums in the whole of France and also one of most important ones, given its classification as a Musee de France by the French Ministry of Culture. Public art in Montpellier, France. Apart from the collection the architecture of the museum is also worth paying some extra attention to. Nowadays you will enter the museum through a modernized entrance, yet the actual museum is housed in a 17th century Jesuit College combined with the 18th century Hotel de Ville and various 19th century extensions. During a thorough renovation project from 2003 to 2007 the whole museum was given a proper face-lift to bring it all up to date again, luckily with eye for maintaining the classical characteristics of the building. The museum can be found just around the corner from the eastern part of Place de la Comedie. Keep in mind that the museum is closed on Mondays, unfortunately the day we were there. On a warm and summery day you might long for dipping your toes into the Mediterranean sea instead of wandering through the city. As Montpellier is only some fifteen kilometres away from the beach, life is made easy and you could easily combine your sight-seeing with some time at the beach. You can get there by tram, bus or – for the sporty ones – by bike. 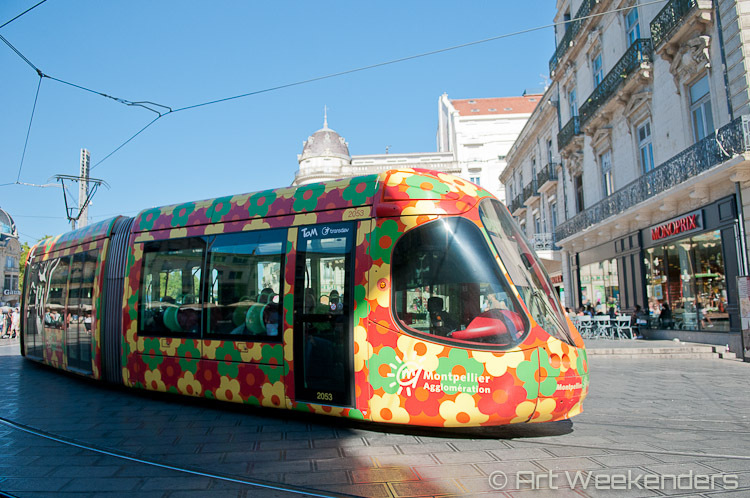 Brightly coloured trams pass Montpellier’s city centre. As you can see it’s easy to spend a couple of days in the southern-french city of Montpellier without getting bored. Actually it is a much more versatile place than we imagined beforehand and we certainly wouldn’t mind visiting it again, either for a weekend away or as a base to explore the rest of the Languedoc area. Have you ever been to Montpellier? Or the southern part of French? What is your favorite thing to do in this part of France?